In 1994 Bergmeister arrived at the Nürburgring with his father to race a Porsche 964 Cup Car in Porsche Trofeo. His father, Willi Bergmeister, had organized and paid for the weekend as a way for Jörg to gain experience and test his abilities. There was one catch, while Jörg had a full race weekend to learn the car he only received one set of tires with which he could learn. Bergmeister took care of the tires through free practice, qualifying and the race all while learning the ins and outs of a Porsche race car. “I think that weekend prepared me pretty well for today,” Bergmeister said. “I turned a lot of laps on those tires then. Today, on the last stint I did an hour and 10 or an hour and 15 minutes on one set of Continentals; going that long on tires was quite hard work. Much like last year, the goal was easier said than done. The second start of the race recorded the second incident with two GT Daytona cars collecting each other and pushing Team Principal Patrick Lindsey wide into the gravel, a maneuver that had him reminiscing about his Le Mans run in June. He continued after the detour, but gravel had lodged inside the fuel probe receptacle on the hood of the Porsche race car. When Lindsey arrived in pit lane for the first pit stop and driver change the No. 73 Park Place Porsche did not take fuel. Gravel blocked the fuel probe from engaging. When Bergmeister left pit lane the only weapon he had to battle with was one set of fresh tires. Upon exiting pitlane, Bergmeister began conserving tires and fuel. Meanwhile, the team was working to remove gravel from the fuel probe head and begging for a yellow flag. As luck would have it, a full course caution would come out seven minutes later when a GTD car stopped on track. To save time in pitlane Park Place Motorsports choose to only fuel. The team cleaned the fuel probe receptacle, fueled and sent Bergmeister on his way. After rejoining the field, Bergmeister began conducting his race from on track as only he knows how. “Obviously as a driver, you never want to do long runs on the tires,” Bergmeister said. “But today it paid off deciding to the long run. P2 was the maximum we could do after the fuel problem we had early on. In 1994, Bergmeister was thrilled for a chance to drive. In 2018, he was thrilled to have a car fighting for the win. 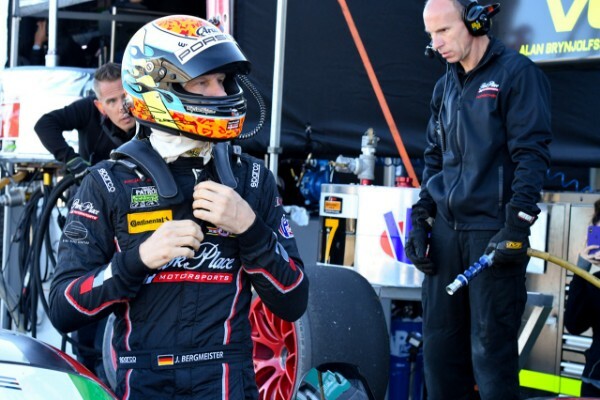 Bergmeister’s next duty as a factory driver comes Sept. 27 through Sept. 30 at none other than WeatherTech Raceway Laguna Seca when he joins in the festivities for Rennsport Reunion VI. After Rennsport Reunion he and Lindsey will rejoin the FIA World Endurance Championship at Fuji Speedway Oct. 10 through Oct. 13. That same weekend the No. 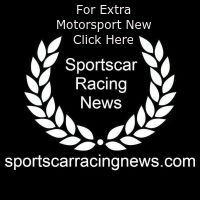 73 will compete in Petit Le Mans at Road Atlanta with endurance driver Tim Pappas, Porsche Factory Driver Wolf Henzler and Atlanta ace Spencer Pumpelly.